This is a new Genuine Brother DR-630 Drum Unit. FREE scheduling, supersized images. Mfr Part #: TN760. It is designed for use with Brother HL-L2350DW, HL-L2390DW, HL-L2395DW, HL-L2370DW, MFC-L2710DW and MFC-L2750DW. Brother Genuine toner is precisely balanced for even flow and consistent toner distribution. Compatible Printer List: DCP-L2520DW DCP-L2540DW HL-L2300D HL-L2320D HL-L2340DW HL-L2360DW HL-L2380DW MFC-L2700DW MFC-L2720DW MFC-L2740DW Type: Premium Compatible (Not Made By Brother) Yield: prints up to 2,600 pages based on 5% coverage of letter size paper. WHAT'S INCLUDED?. Type: Premium Compatible (Not Made By Brother) Compatible Printer List: DCP-L2520DW DCP-L2540DW HL-L2300D HL-L2320D HL-L2340DW HL-L2360DW HL-L2380DW MFC-L2700DW MFC-L2720DW MFC-L2740DW Condition: NEW Yield: prints up to 2,600 pages based on 5% coverage of letter size paper. Model: CF280A. Specifically designed for a HP LaserJet printer or MFP. 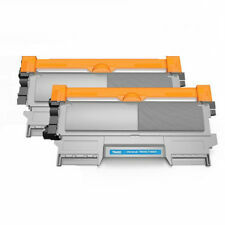 Compatible with HP LaserJet Pro 400 M401 Series, 400 MFP M425 Series. color: Black. Model Number: HEWCF280A. About this item. Compatible Printer List: HL-2220, HL-2230 HL-2240, HL-2240D HL-2270DW, HL-2275DW HL-2280DW IntelliFax-2840, IntelliFAX-2940 MFC-7240, MFC-7360N MFC-7365DN MFC-7460DN, MFC-7860DW DCP-7060D, DCP-7065DN Type: NEW Premium Compatible ( Not Made by Brother) Yield: Each cartridge prints up to 2,600 pages based on 5% coverage of letter size paper. WHAT'S INCLUDED?. New ListingHP CE505X Black High Volume Print Cartridge. 5 out of 5 stars - HP CE505X Black High Volume Print Cartridge. 17 product ratings17 product ratings - HP CE505X Black High Volume Print Cartridge. 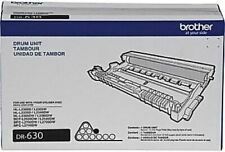 CE505A HP 05A GENUINE Black Original Toner Cartridge (CE505A) OEM BRAND NEW . Item model number: CE505A. Manufacturer Part Number: CE505A. Original HP toner and the HP printing system—designed together to produce sharp, complex graphics. Help keep printing costs low while maintaining productivity. Brother - DCP Series. Brother - HL Printers. Brother - MFC MultiFunction Printers. Page Yield Laser Toner. Compatible Printers Our Part Number DCP-L2520DW, DCP-L2540DW. Compatible for HP Printer: LaserJet Pro M1130 MFP, LaserJet Pro M1132 MFP, LaserJet Pro M1134 MFP, LaserJet Pro M1136 MFP, LaserJet Pro M1137 MFP, LaserJet Pro M1138 MFP, LaserJet Pro M1139 MFP, LaserJet Pro M1210 MFP, LaserJet Pr, LaserJet Pro M1212nf MFP, LaserJet Pro M1213nf MFP, LaserJet Pro M1214nhf MFP, LaserJet Pro M1216nfh MFP, LaserJet Pro M1217nfw MFP, LaserJet Pro M1219nf MFP, LaserJet Pro M12w, LaserJet Pro P1102, LaserJet Pro P1102 w, Pro P1109W. Compatible not manufactured by Brother. Brother HL-L2350DW. Brother HL-L2390DW. Brother HL-L2395DW. Brother HL-L2370DW. Brother DCP-L2550DW. Brother MFC-L2710DW. Brother MFC-L2750DW. HP 83X CF283X. Compatible for HP Printer: LaserJet Pro MFP M225DN ,LaserJet Pro M201DW. Brown Box. The original HP pull tab intact. HP box pictures are for reference only. HP Color LaserJet Pro M254dw. HP Color LaserJet Pro MFP M280nw M281cdw. HP Color LaserJet Pro MFP M281fdn M281fdw. Model: CF500A CF501A CF502A CF503A. HP LaserJet HP Color LaserJet Pro M254dn. HP Color LaserJet Pro M254nw. The box that is pictured is for reference only. Back to Top. New ListingLexmark X463X11G Extra High Yield Toner Cartridge! Red marker on top of box. Compatible with Brother MFC-L6700DW, MFC-L6800DW, MFC-L6750DW, MFC-L6900DW. Ink or Toner Color: Black. Brother All-in-One Machines: MFC-L6700DW, MFC-L6800DW. Brother Laser Printers: HL-L6200DW, HL-L6200DWT, HL-L6300DW. With Chip！Fast Shipping !US STOCK! HP LaserJet Pro M1536 MFP / M1536dnf. HP LaserJet Pro P1606 / P1606dn. Model No. : CE278A（Not Made By HP）. 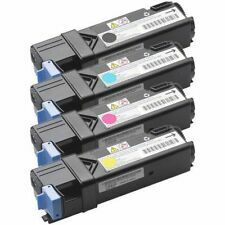 4PK Color Toner For HP CF210A 131A LaserJet Pro 200 MFP M276nw M251nw Printer. HP LaserJet Pro P1560 / P1566 / P1600. The trip gear is still factory set. 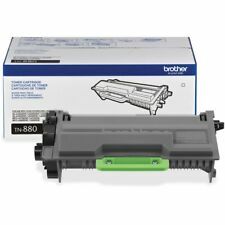 Brother HL Printers HL-2230, HL-2240, HL-2240D, HL-2270DW, HL-2220, HL-2280DW, HL-2130, HL-2132, HL-2242D, HL-2250DN. Brother DCP Series DCP-7060D, DCP-7065DN. Page Yield Brother MFC MultiFunction Printers MFC-7360N, MFC-7460DN, MFC-7860DW. Model: TN450. Page Yield: 2,600 pages per black(5% coverage). Brother HL-2130. Brother HL-2132. Brother HL-2135W. Brother HL-2210. Brother HL-2220. Brother HL-2230. 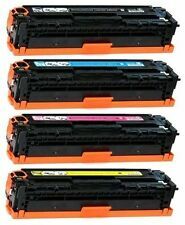 NEW HP CC364A 64A Toner Cartridge P4015 GENUINE! New and never used. It is NOT refurbished or remanufactured. The box that is pictured is for reference only. FREE scheduling, supersized images. 4.5 out of 5 stars - NEW HP CC364A 64A Toner Cartridge P4015 GENUINE! 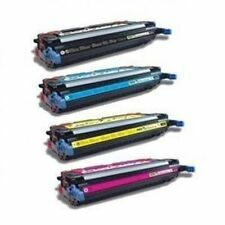 10 product ratings10 product ratings - NEW HP CC364A 64A Toner Cartridge P4015 GENUINE! 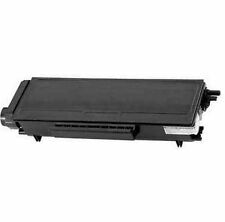 For HP LaserJet M452dw M452nw M452dn M452. 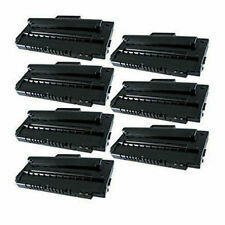 For HP LaserJet MFP M477fnw M477fdn M477fdw M477. 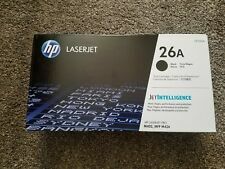 For HP LaserJet M377dw. Condition : New,Not OEM Page Yield : B:2,300 @ 5% Coverage. Xerox WorkCentre 6515. Xerox WorkCentre 6515DN. Xerox WorkCentre 6515DNI. Xerox WorkCentre 6515DNM. Xerox WorkCentre 6515NCompatible with Part Numbers: 106R03480 106R03477 106R03478 106R03479. Xerox Phaser 6510. New Sealed GENUINE OEM HP 30X CF230XC BLACK TONER Cartridge LASERJET ENTERPRISE. Condition is New. Shipped with USPS Priority Mail. New ListingHP CE340AC BLACK TONER FOR HP MFP M775 FACTORY SEALED/GENUINE! HP CE340AC BLACK TONER. 100% GENUINE HP TONER ! GENUINE HP! THE BOX IS FACTORY SEALED. FACTORY SEALED IN THE ORIGINAL BOX. THIS IS A GENUINE. ALL PHOTOS ARE OF ACTUAL ITEM FOR SALE. 100% GOOD CONDITION. 5 out of 5 stars - HP CE340AC BLACK TONER FOR HP MFP M775 FACTORY SEALED/GENUINE! 1 product rating1 product ratings - HP CE340AC BLACK TONER FOR HP MFP M775 FACTORY SEALED/GENUINE! HP Color LaserJet Pro M254dw, M254nw Printers. CF500A Black page yield1100 pages (Standard Yield). CF501A Cyan Page yield550 pages (Introductory Yield). CF502A Yellow Page yield550 pages (Introductory Yield). 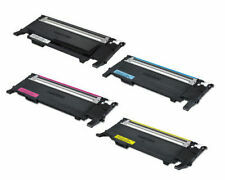 HP CE505X Black High Volume Print Cartridge. Lexmark X463X11G Extra High Yield Toner Cartridge!